We've included listings for companies such as USFloors and PermaGrain Products, Inc. inside our Prefinished Flooring guide. Pennsylvania company is an international leader in the design and production of floors, ceilings and cabinets. This Seattle company maintains a factory in Vietnam, where it produces bamboo products ranging from flooring to plywood to furniture and even fencing. Flooring is urea formaldehyde free and available in face grain or vertical grain. This retailer sells both through physical stores and a website where you'll find thousands of brands and styles of hardwood, laminate, cork and bamboo flooring. The website includes detailed information about each product - including customer reviews. Permagrain makes acrylic impregnated hardwood flooring. Its website offers detailed specification and product data, and includes a dealer locator. 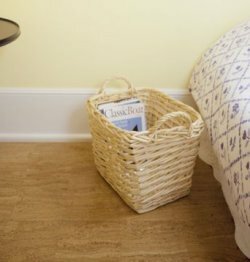 Durodesign Cork and Bamboo Flooring Inc. 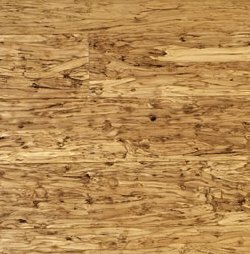 Manufacturer and distributor of cork and bamboo flooring, as well as plantation-grown eucalyptus and engineered oak flooring. Major manufacturer of Appalachian lumber and hardwood flooring. Pergo is the manufacturer of perhaps the best-known brand of laminate flooring. Its website includes descriptions of all its products, plus project planner tools for consumers. Part of Armstrong, Hartco manufactures solid and engineered hardwood flooring for residential and commercial customers. Move over bamboo, mulberry makes its flooring debut. Floating cork floor planks combine beauty and durability.